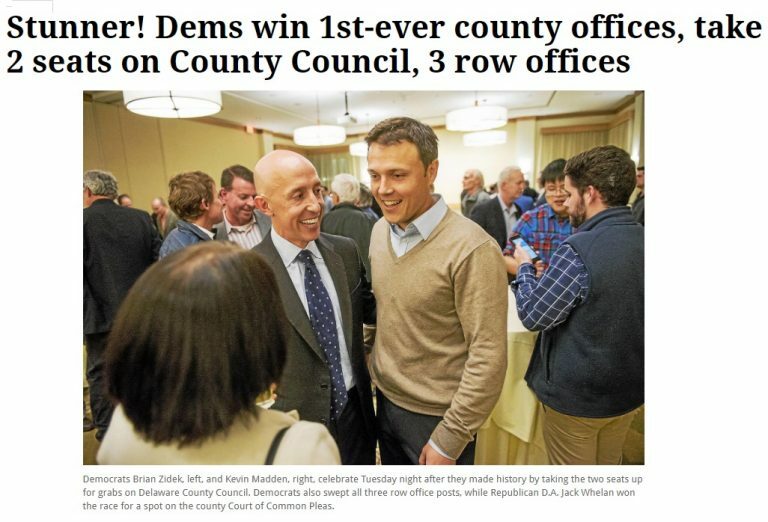 In January 2018, we were sworn in as the first two Democrats to ever serve on County Council since its creation in the 1970’s. Here at the one-year mark, we feel it is a good time to update you on what’s been accomplished with your help. 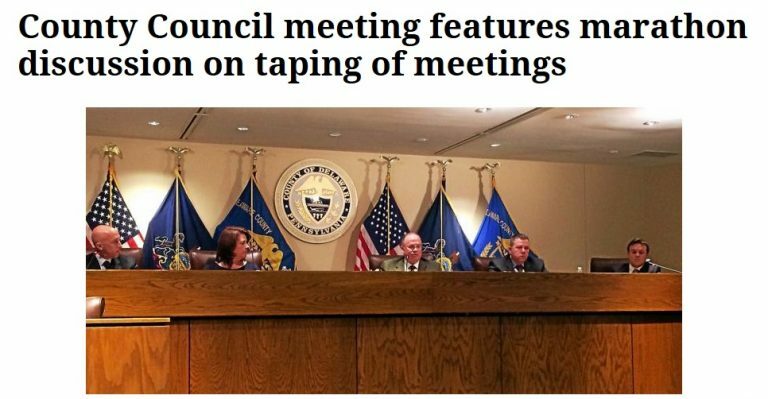 Transparency: Council meetings are now videotaped for the first time ever. The existence of a videotaped record of meetings has changed the manner in which meetings are conducted and has ensured that the issues spoken about in these meeting gained a wider audience. Scrutiny of “Business as Usual”: As businessmen, we were shocked to see the way that “business” is conducted in Delco. 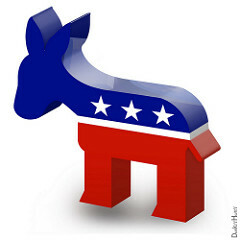 Contracts are renewed year after year to vendors who donate to the local Republican Party. In many instances, the same vendors are granted contracts for decades without ever putting the service or product out to bid – one reason our taxes are significantly higher than our neighboring counties. Private Operation of the George Hill Correctional Facility: An issue discussed throughout the year was the management of our 1,880-person county jail, which is the only prison in the state operated by a private company. The $50 million annual contract – representing 30% of the total county tax budget – was up for renewal this year, and in Delaware County, unlike any other county in Pennsylvania, total responsibility for the management of the prison and all related contractual matters has been handed over to an unelected board since the 1830s. This board intended to rubber-stamp a renewal with the incumbent, despite a history of inmate deaths and staffing shortages. For this and many reasons, we called on County Council to overhaul prison governance and bring contractual matters back under the jurisdiction of County Council, which would take a simple majority vote. Though our efforts were voted down, we intend to keep up the fight to restore accountability for this critical part of county government. Risk Assessment of the Mariner East II pipeline: With the help of members of the public – who have appeared week after week to offer public testimony – we were able to persuade the Republican members of Council to join us in our efforts to finally get a risk assessment study of the Mariner East II pipeline. It boggles the mind that our Republican predecessors on Council: (1) Invited a private company to exercise eminent domain over people’s private property to (2) install a pipeline carrying highly volatile natural gas liquids – which are very different from “normal” natural gas pipelines – (3) through a densely populated community including (4) installing the pipeline right next to an elementary school and senior living centers; (5) only to then export the natural gas liquids from Delco to Europe to make plastic, thus demonstrating the lack of a public good being served. What we found even more shocking was the fact that our Republican colleagues on Council invited this pipeline into our community, destroying the property values of thousands of homes in Delaware County, without ever even conducting an analysis of how dangerous the pipeline might be! Our success in obtaining a risk assessment study this year will further the process of giving our residents and first responders information to prepare for any emergency that might arise, and hopefully allow officials at the state and local level some ability to mitigate the dangers. Public Health Department: Throughout the campaign, we argued that Delaware County should have a public health department. In a tacit acknowledgement of the importance of this issue, this year County Council approved an RFP to study the state of public health in Delaware County. We will continue to push our colleagues on Council to conduct a comprehensive study about the wisdom of a public health department. We successfully lobbied the county Election Board to create a voting location on-campus at Haverford College and central to the precinct, as opposed to the existing location that was a few miles outside the precinct. This was a common-sense change that had been called for by members of the community for over a decade, but had been repeatedly rejected. We formed a subcommittee to create a humane animal control and intake facility in Delaware County. Since 2012, Delaware County has lacked an animal intake facility for stray or abandoned animals. In many parts of the county today, stray animals are either left to die on the streets or put down by law enforcement. And this past December, we passed a budget with a tax cut for the first time in over 20 years. After a hard fought year, we have now experienced what a government run with the current majority looks like from the inside, and it often isn’t very pretty. The only way to truly affect the changes needed for our county is to win the majority in 2019 by winning the other three Council seats up for election this fall. As we take a moment to reflect on the successes of 2018, we must continue to work as hard as ever towards this November’s election. Thank you for your help making 2018 such an historic year. We are looking forward to making more history with you in the months to come.